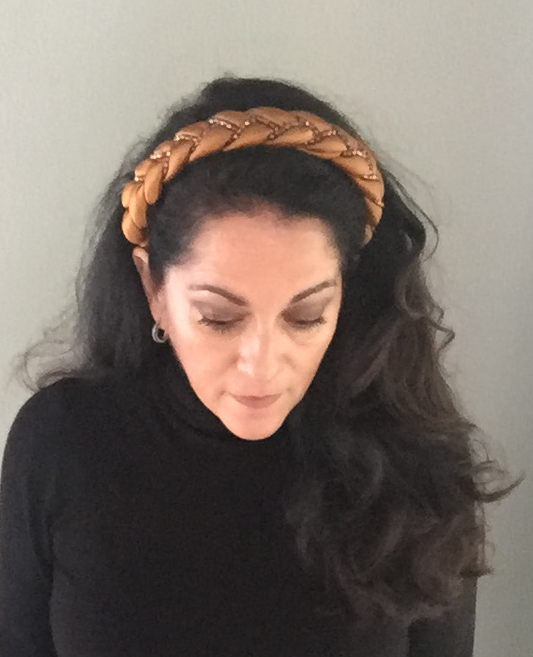 This thick braided headband is on a 1/2" French headband. This lightly stuffed silk piece also has over 150 hand strung sparkling crystals. 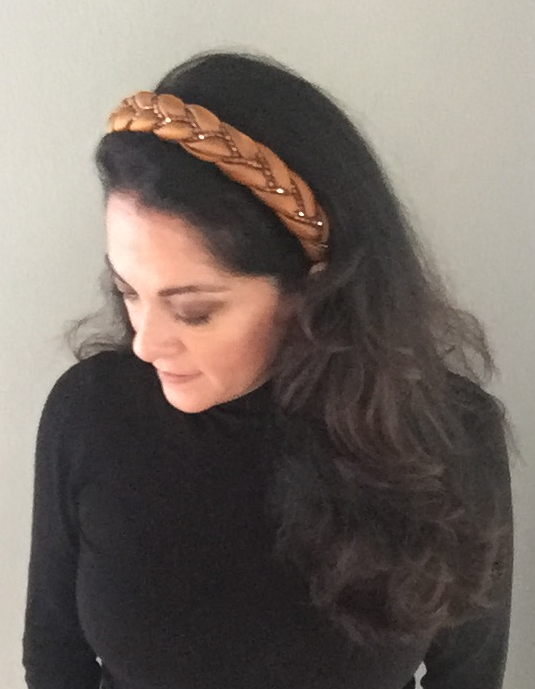 The 7/8" thickness gives your hair 'height' and the width of the headband measures 1" in total width. Shown here in espresso/smokey topaz crystals, soft gold silk/sand crystals and charcoal silk/black diamond ab crystal. On our model - copper/venus crystals. Pick your silk color and we will make it using a complementary crystal color. Shipped in a padded pouch for safe keeping.